A '''function''' is a special kind of a [[Script (File)|script]]. The common extension for function files is '''.sqf'''. A function is much like a regular scripting command, except that you can use functions to create something like a '''custom command'''. 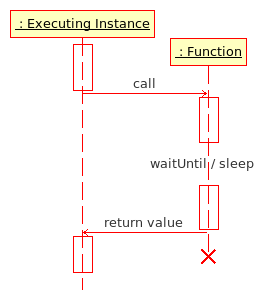 A function does something and can then return a value to the point which 'called' that function or it can simply return [[Nothing]]. Functions were first introduced into an [[Operation Flashpoint: Resistance]] patch. Functions were first introduced in the [[Operation Flashpoint: Resistance]] patch. Functions were first introduced in the Operation Flashpoint: Resistance patch.